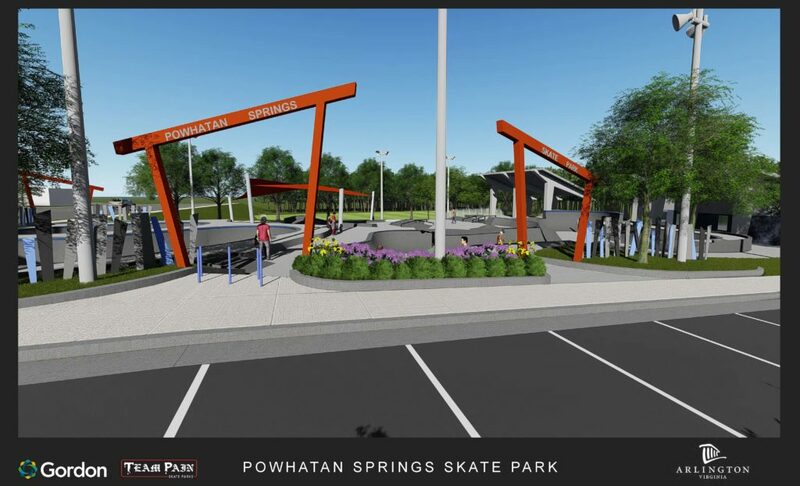 Celebrate the project completion at the ribbon cutting ceremony on May 4! 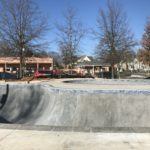 THE SKATE PARK IS OPEN! 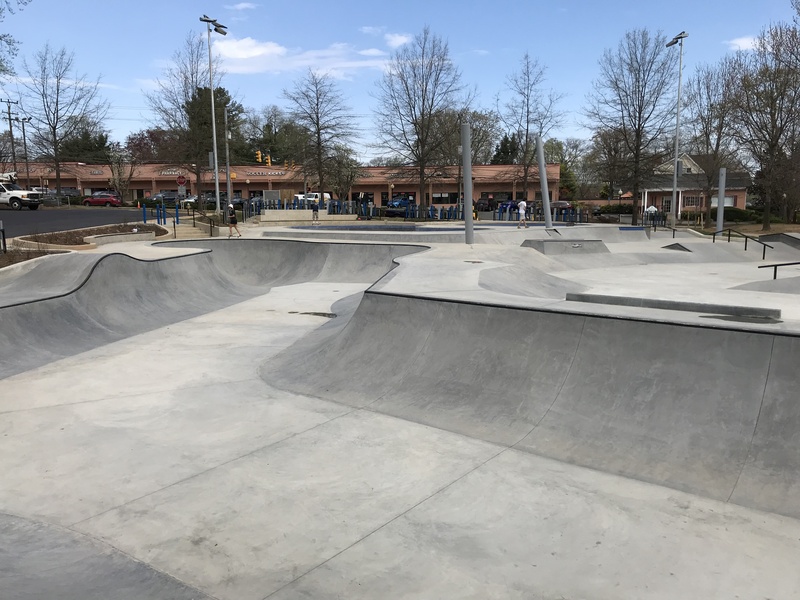 The Skate Park opened for public use on Friday afternoon, April 5. 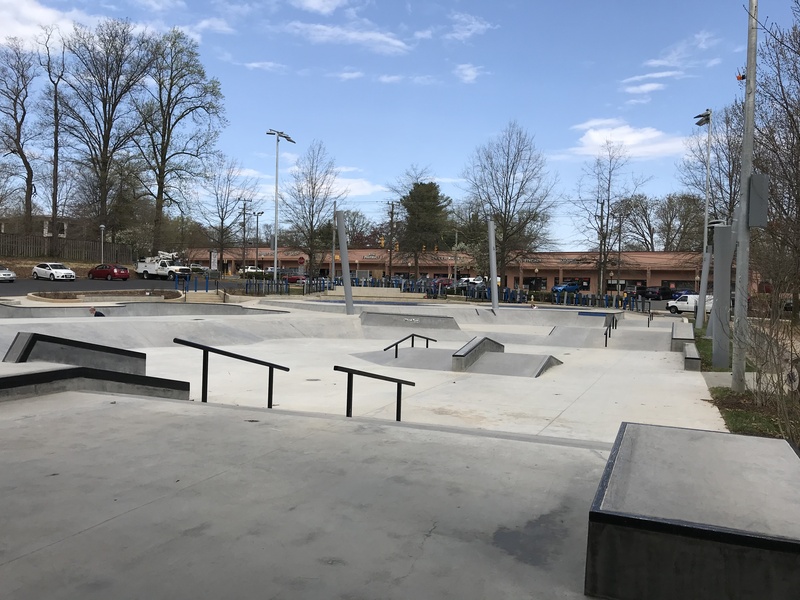 Although rain dampened the first day, many skaters got their first chance to skate the new park over the beautiful spring weekend. 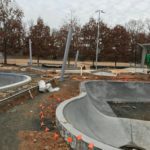 Work will be continuing in the park over the next few weeks but, is not expected to keep skaters from using the facility. 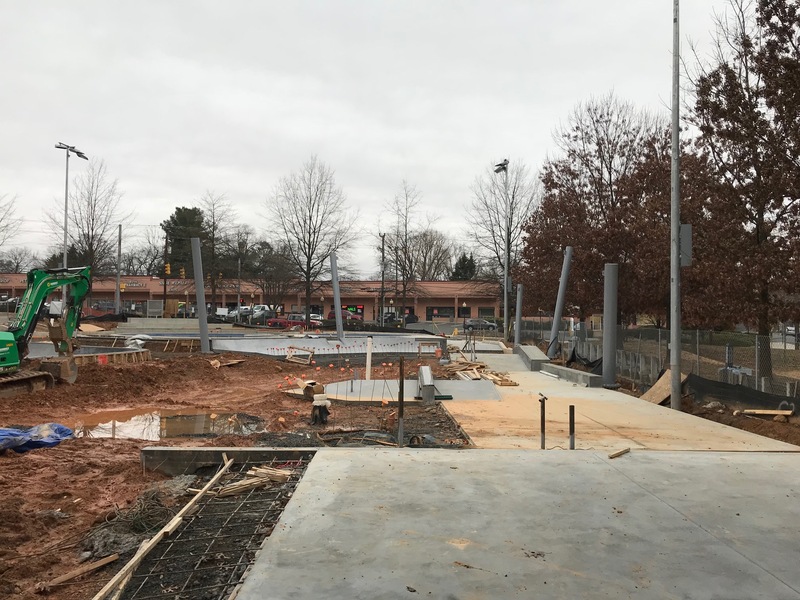 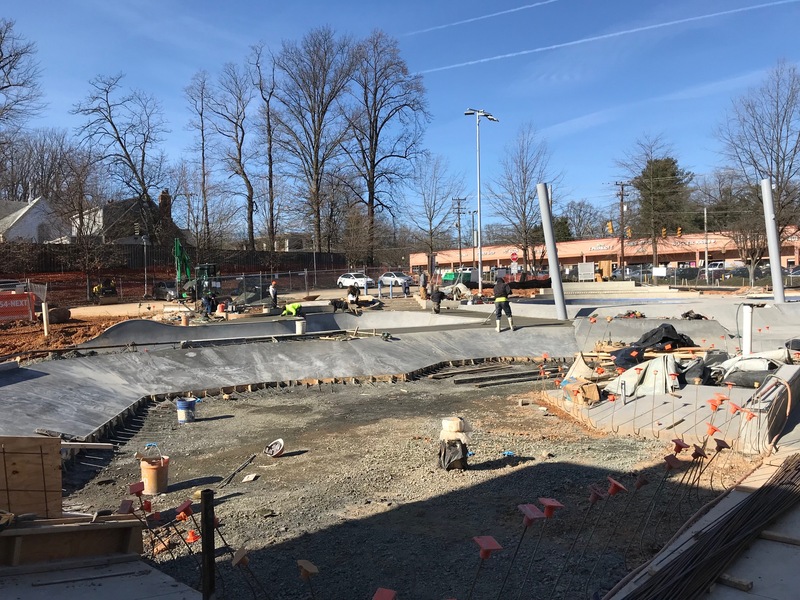 Work items that still need to be completed include striping the parking lot and installing the concrete curb stops, installing the shade canopy and finalizing the landscaping. 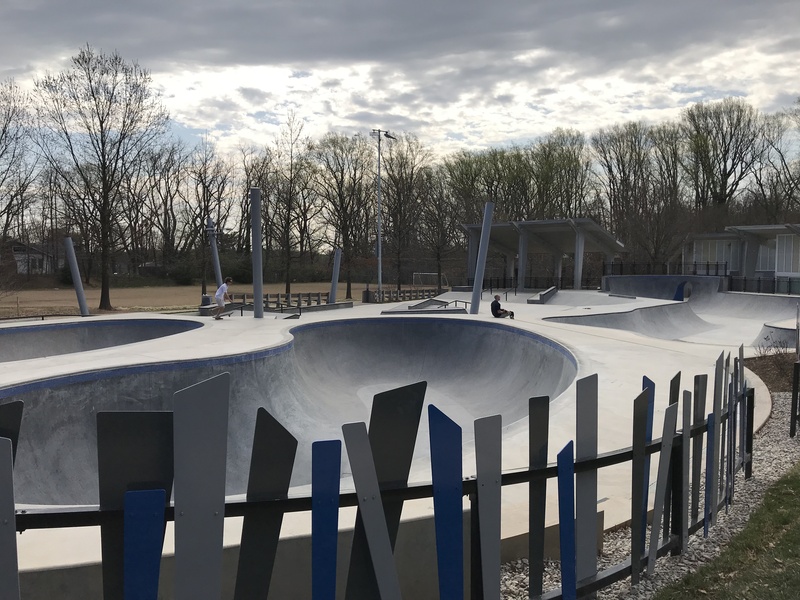 Join us for the ribbon-cutting ceremony on Neighborhood Day, May 4, at 3 p.m. 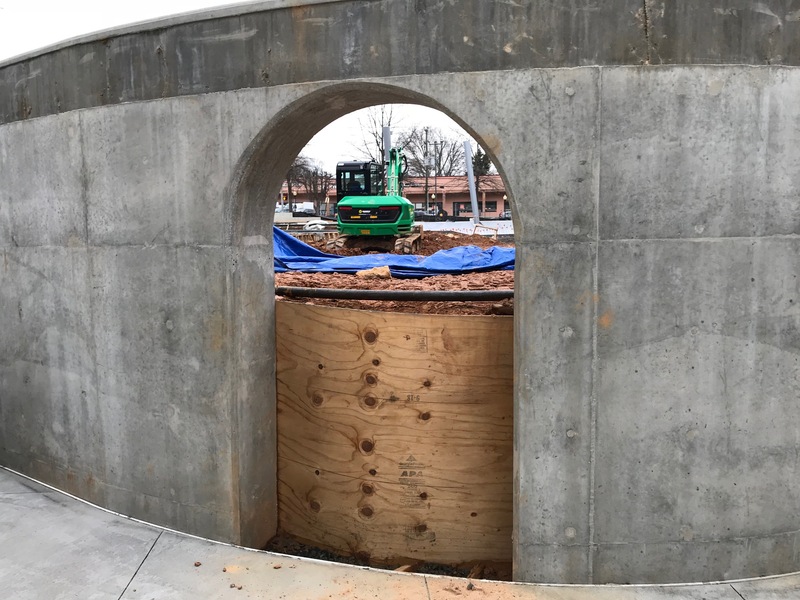 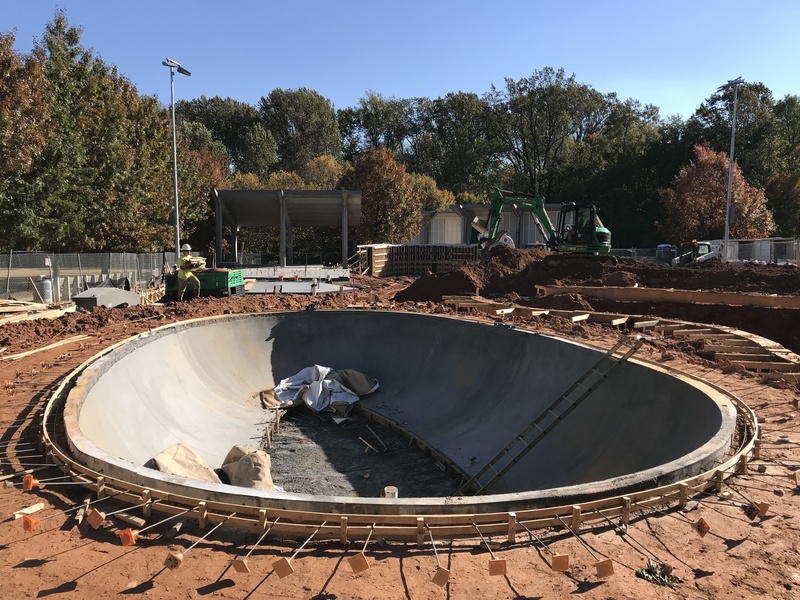 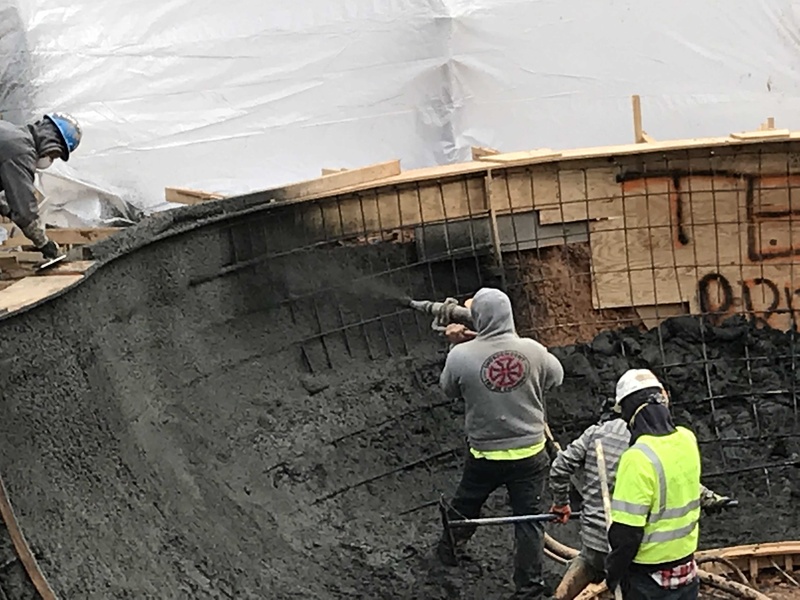 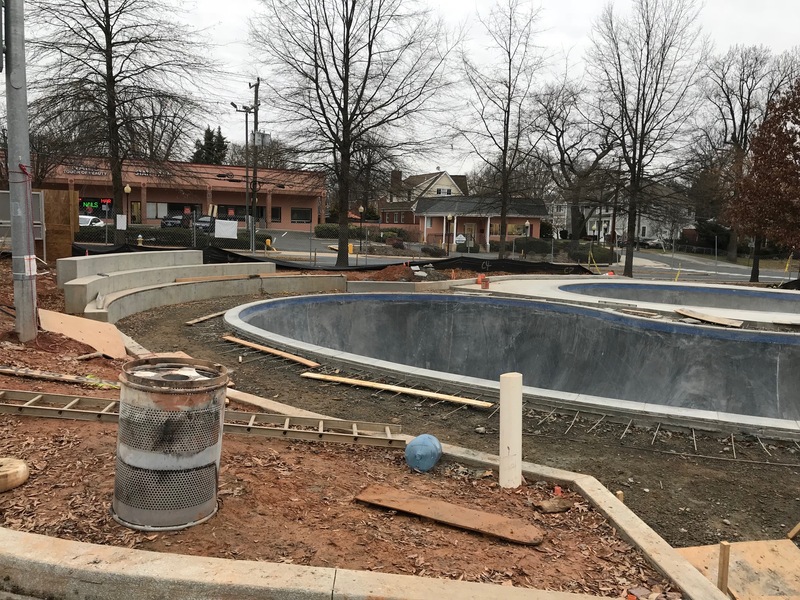 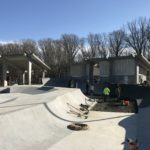 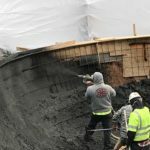 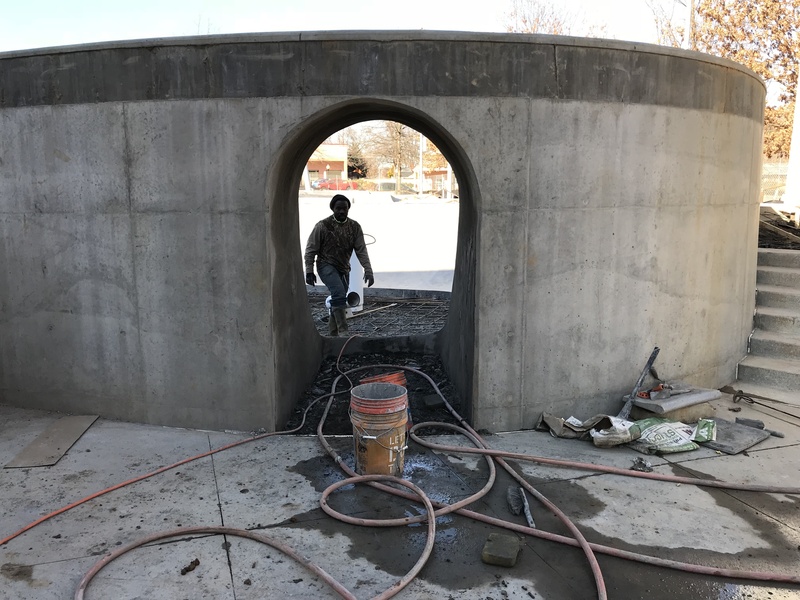 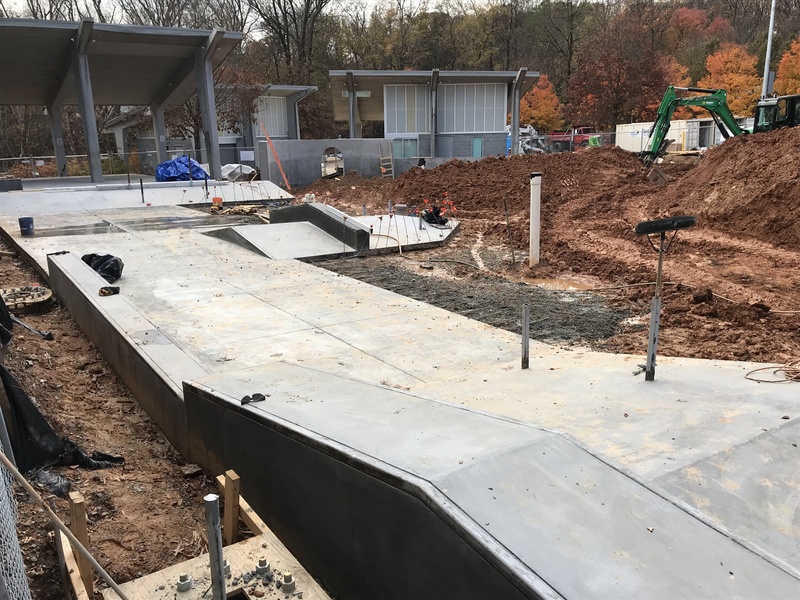 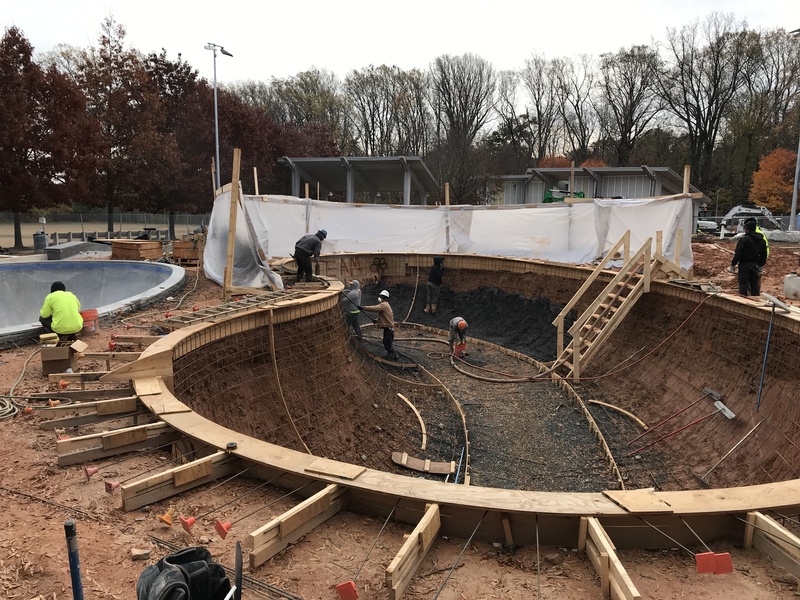 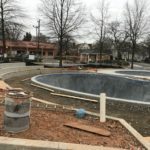 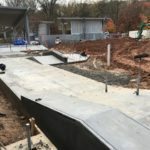 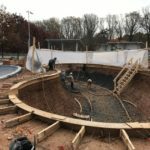 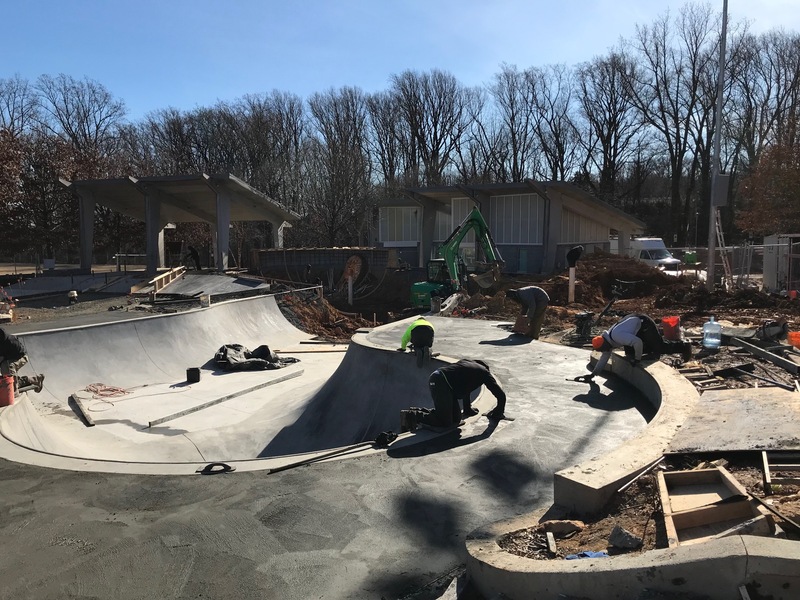 Roughly seventy-five percent of the Skate Park is complete and the focus now is pouring the flat-deck areas and connecting the snake zone to the skateable entrance. 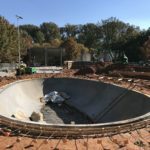 The snake zone is the last major element left to complete. 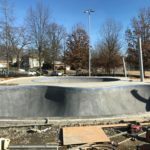 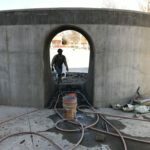 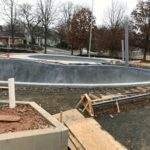 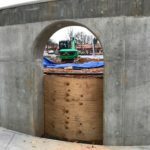 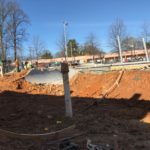 The projected completion date for the skate park is early 2019. 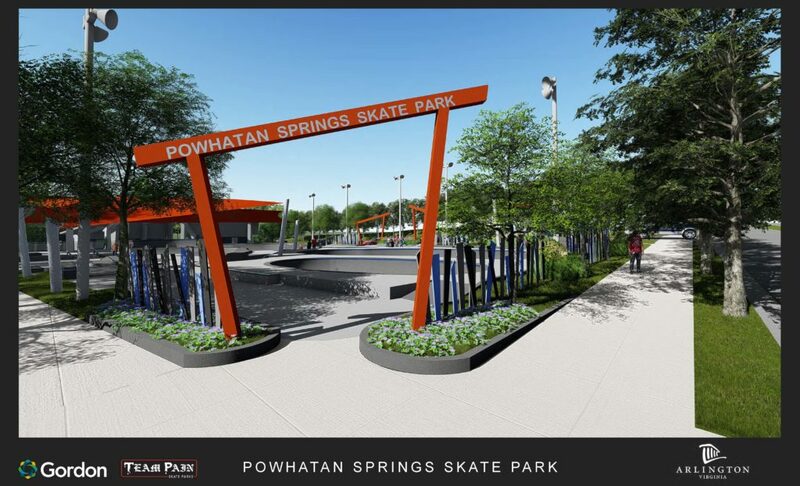 Background: The existing Powhatan Springs Skate Park was originally opened in 2004 and is in need of restoration. 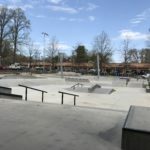 In addition to the fact that some of the concrete is beginning to fail, over the past decade the sport of skateboarding has evolved as has the evolution of skate parks. 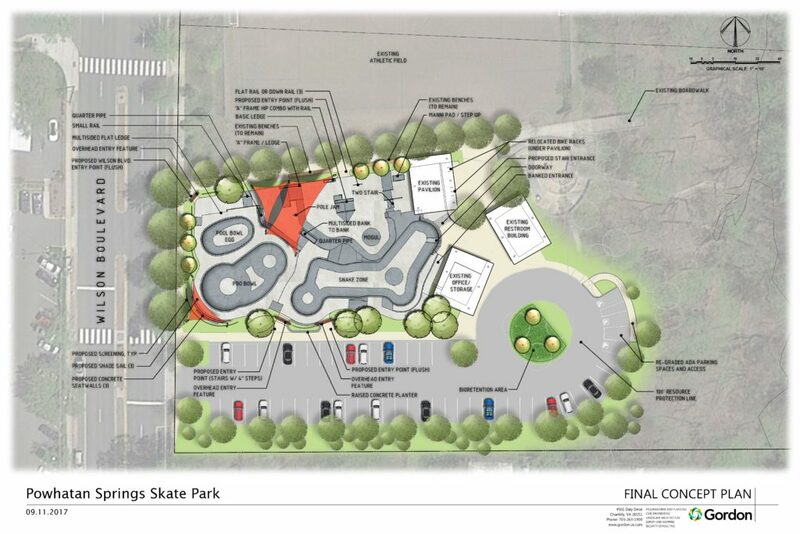 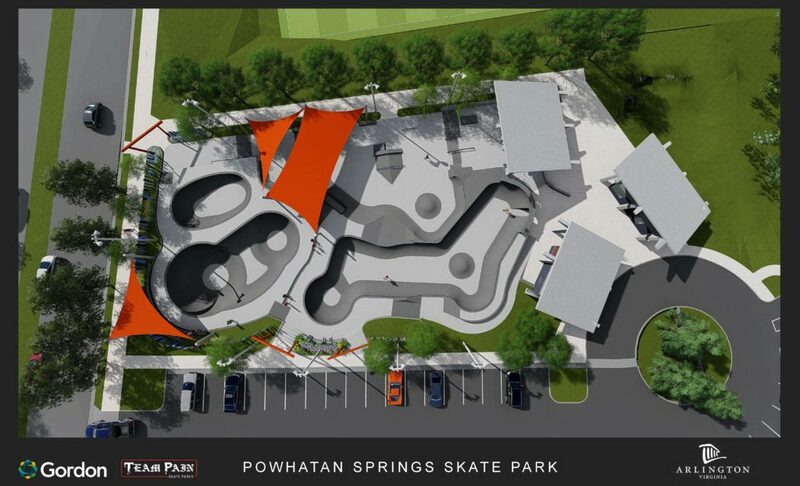 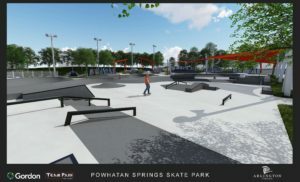 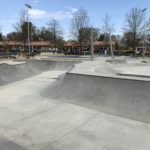 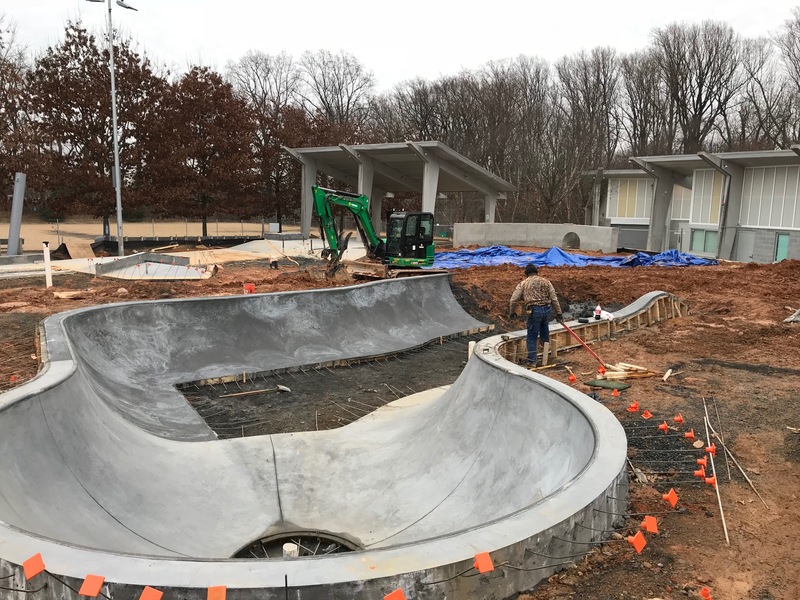 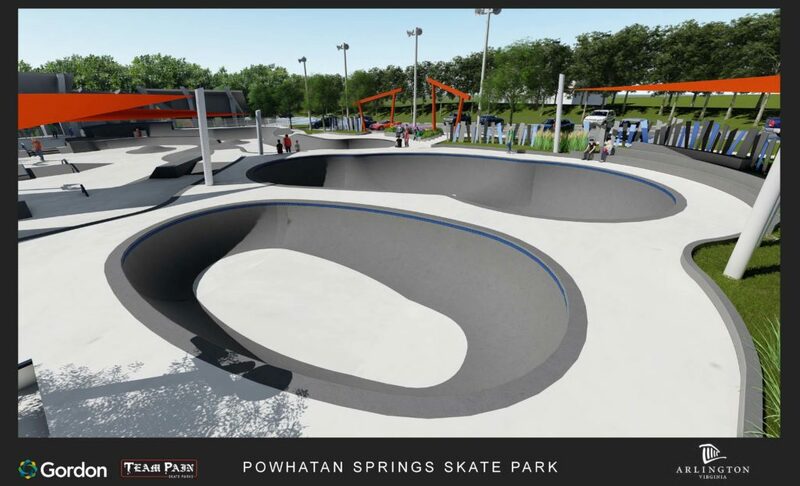 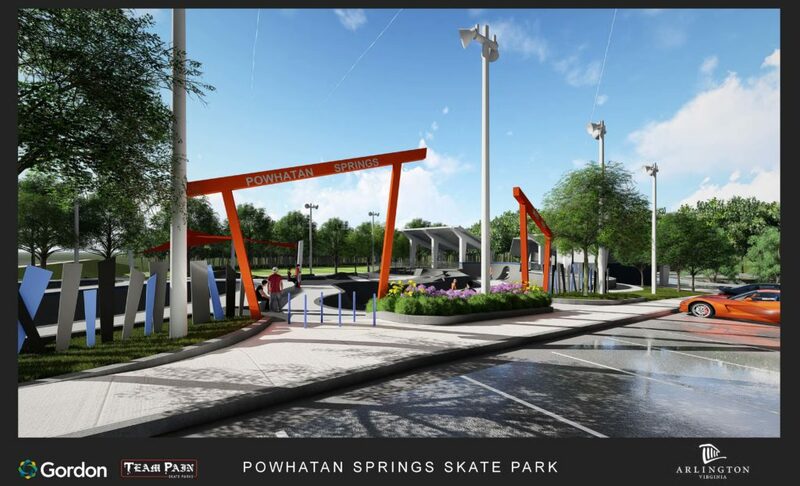 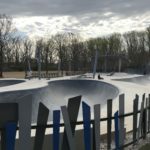 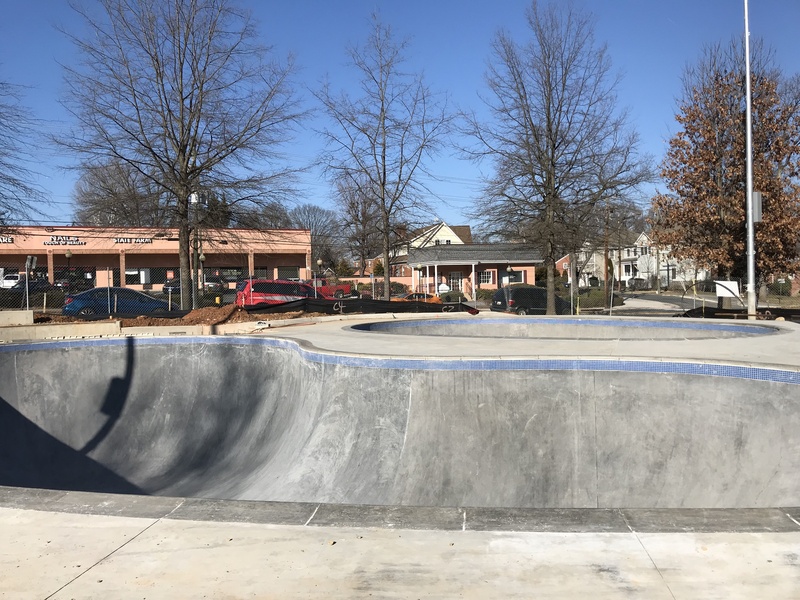 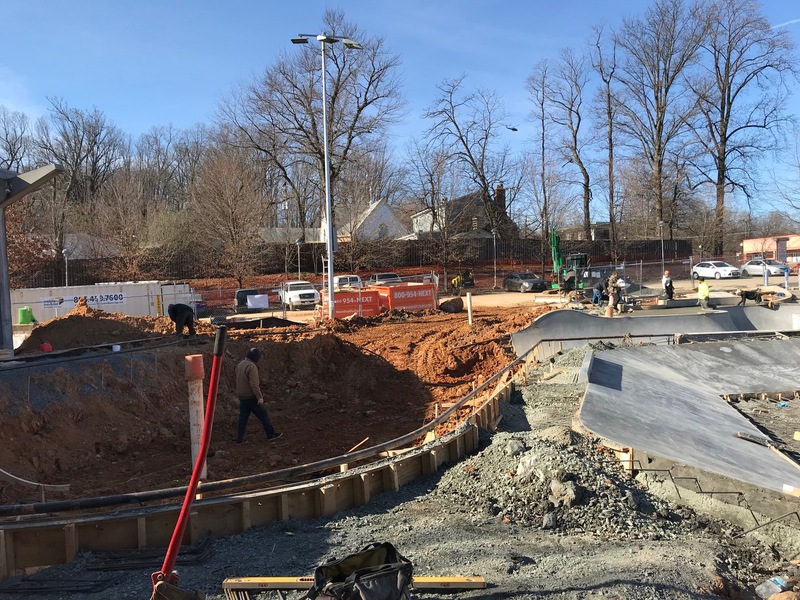 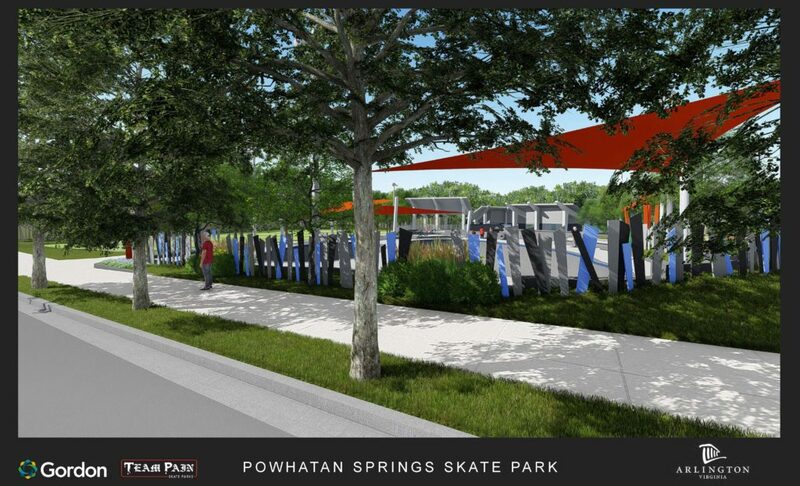 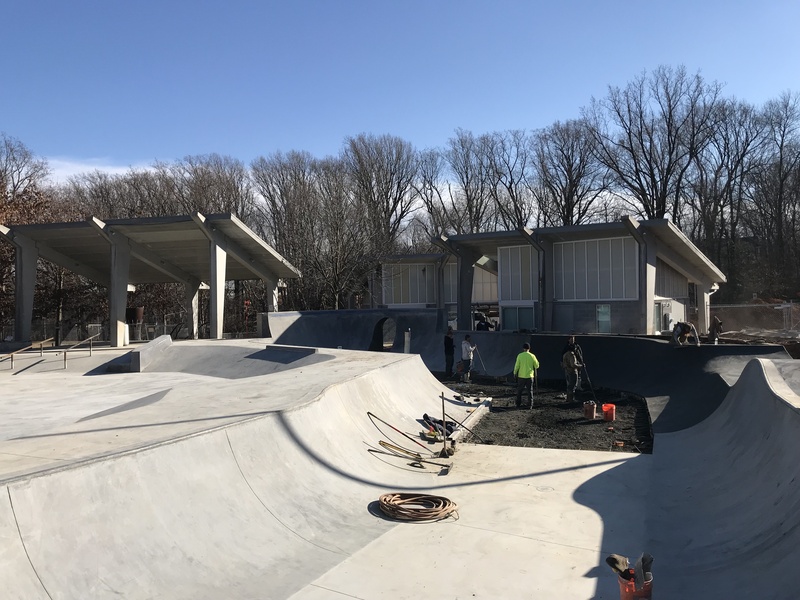 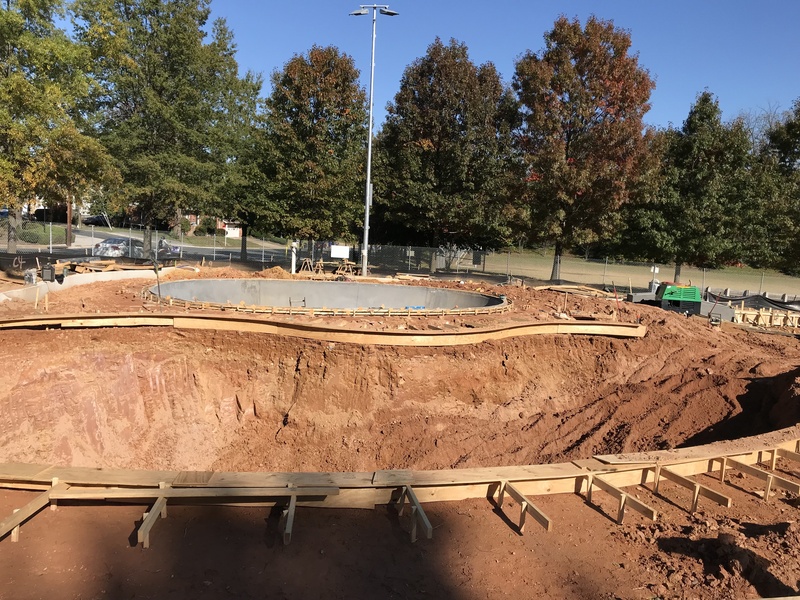 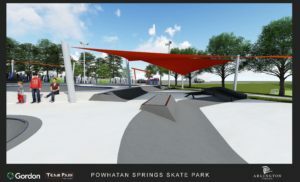 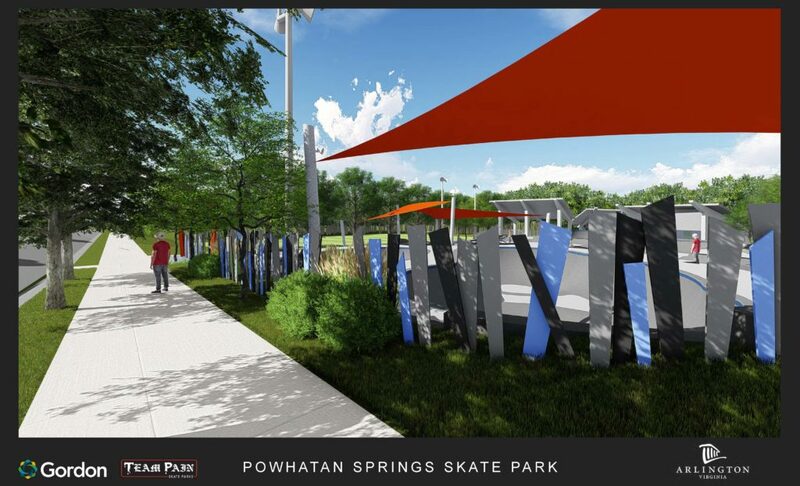 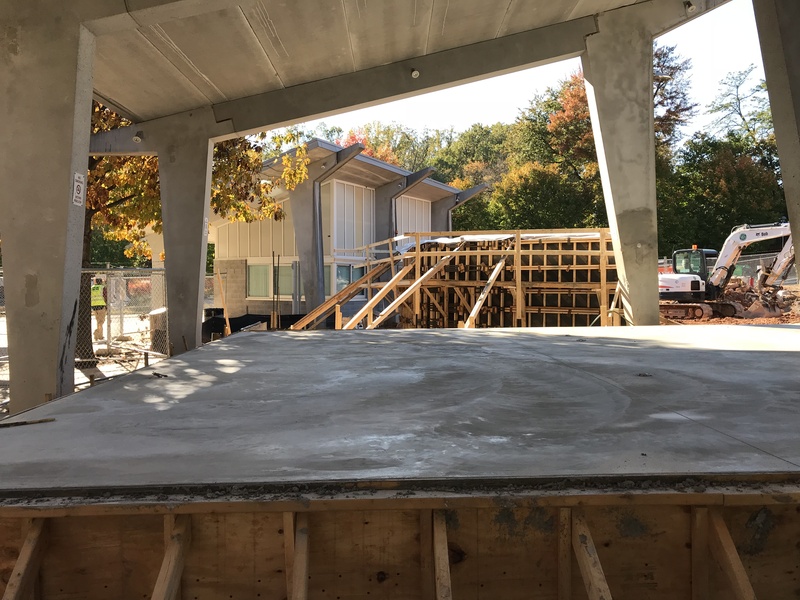 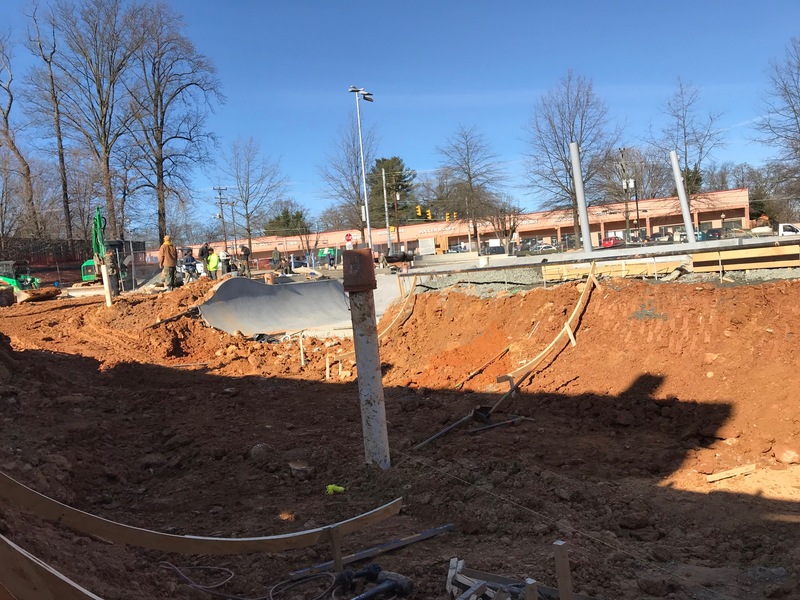 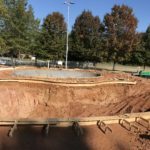 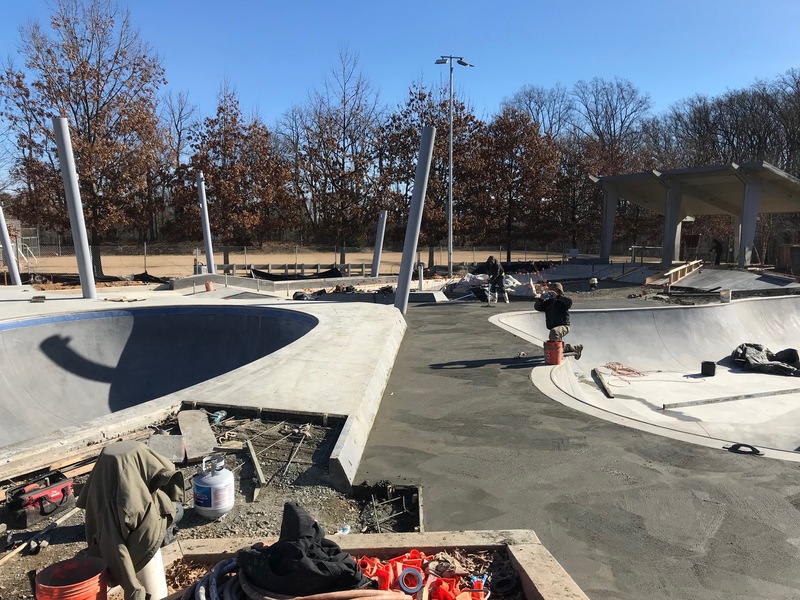 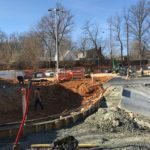 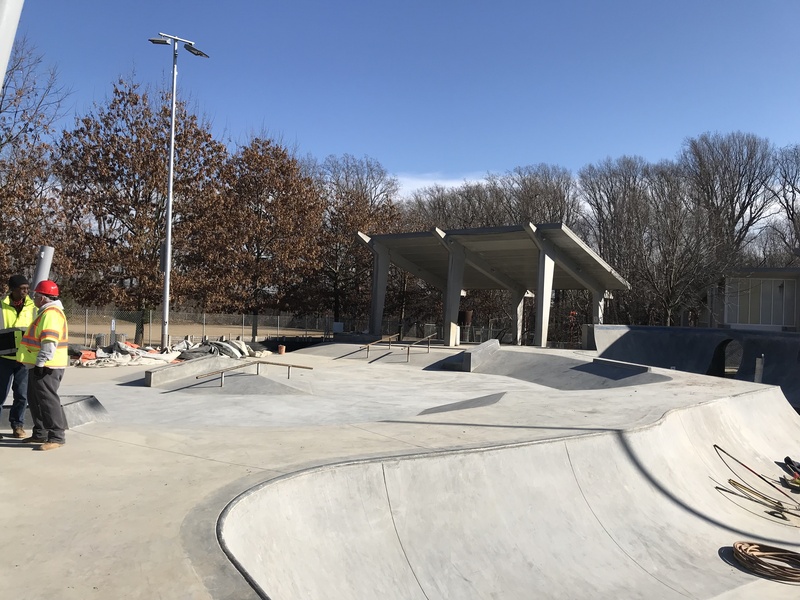 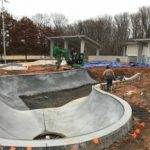 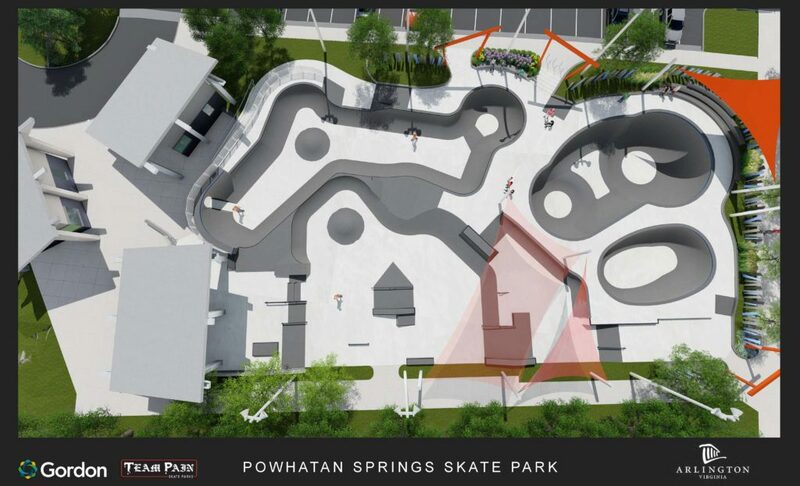 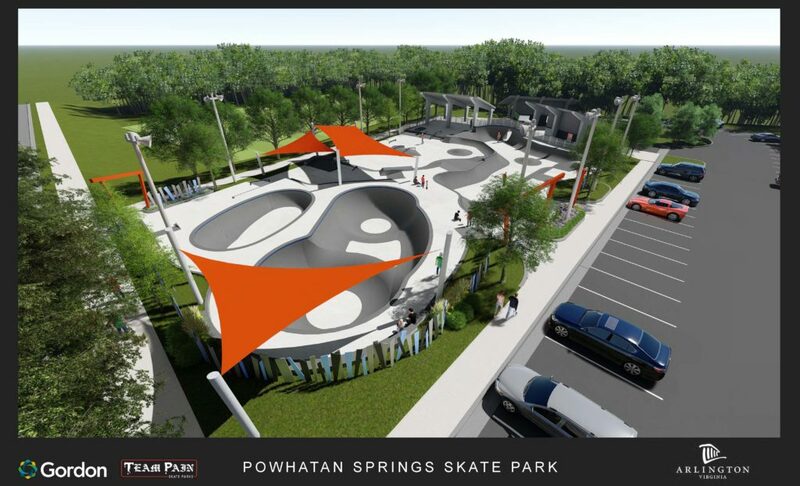 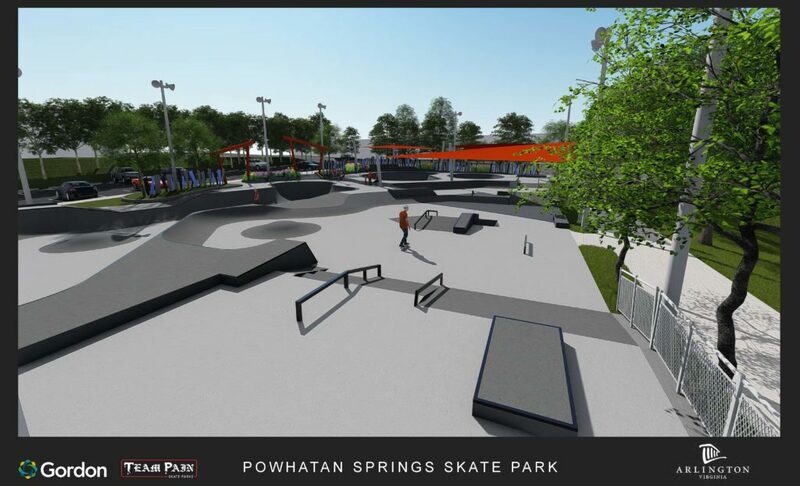 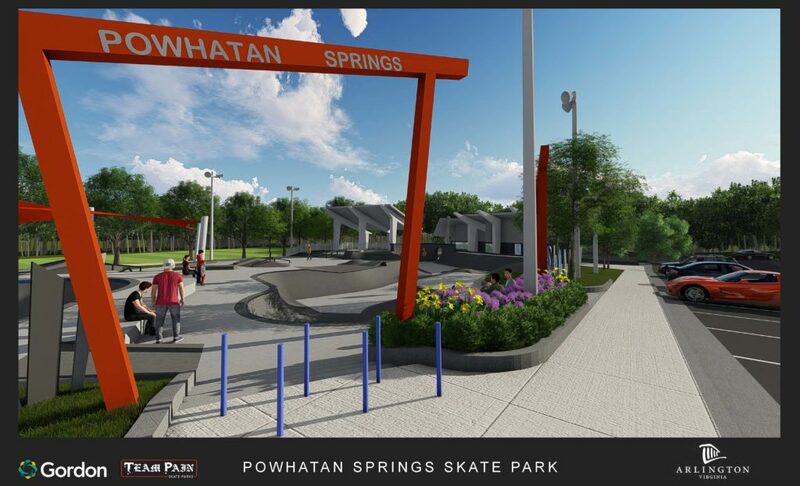 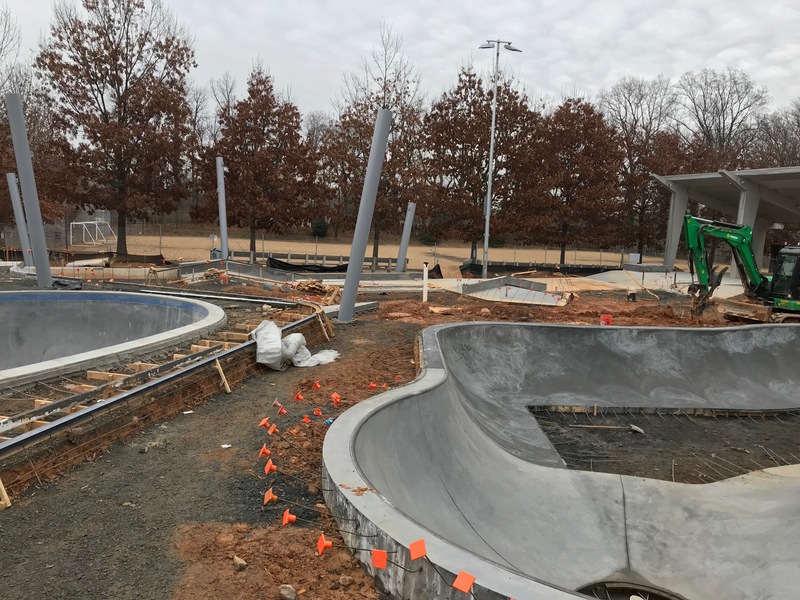 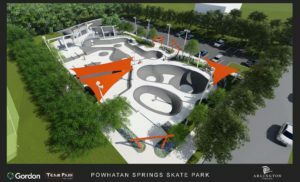 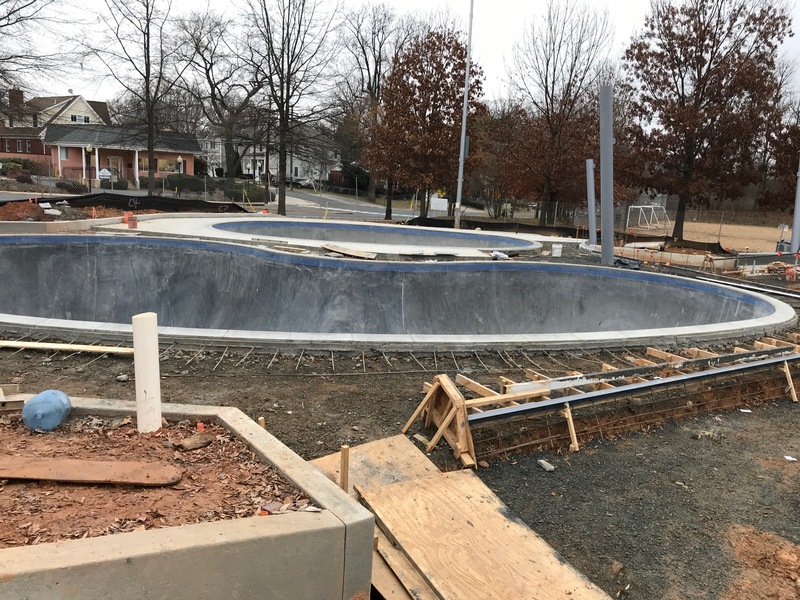 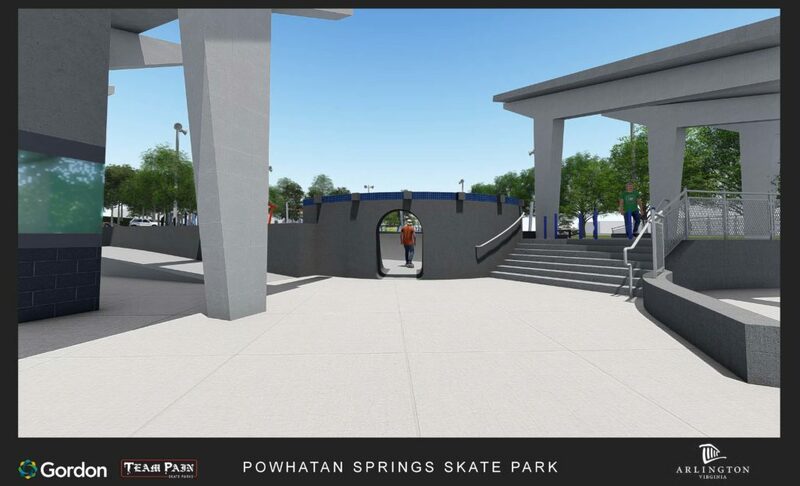 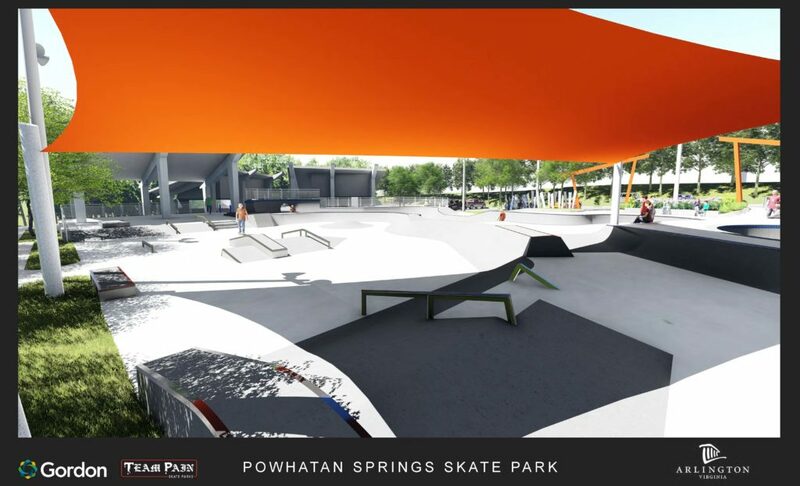 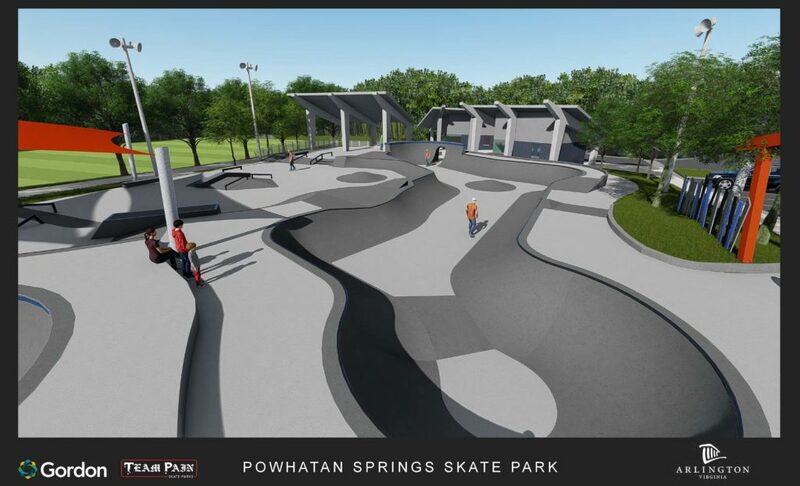 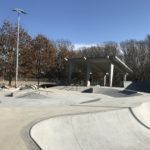 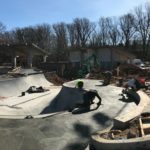 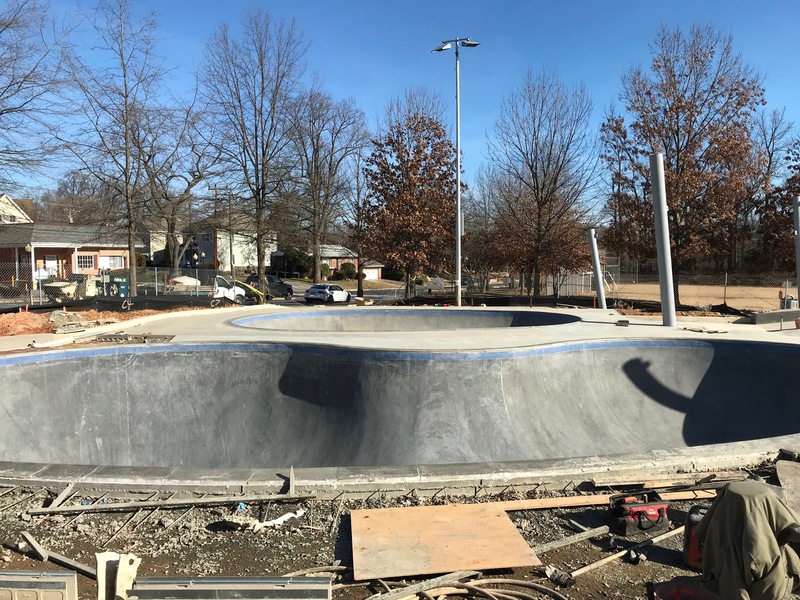 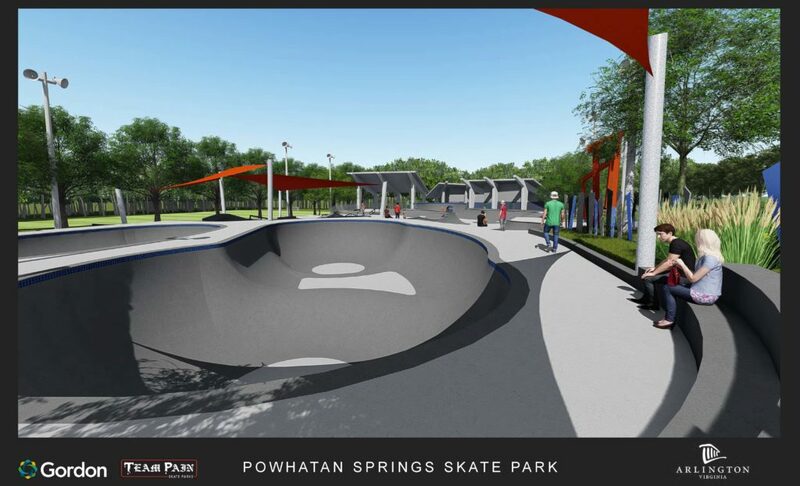 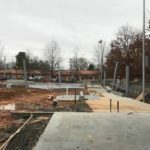 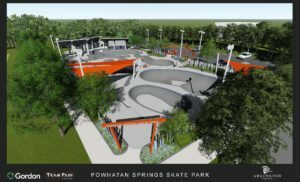 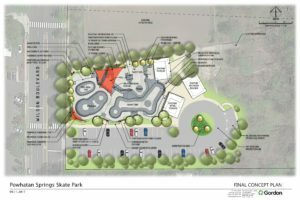 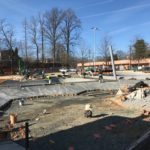 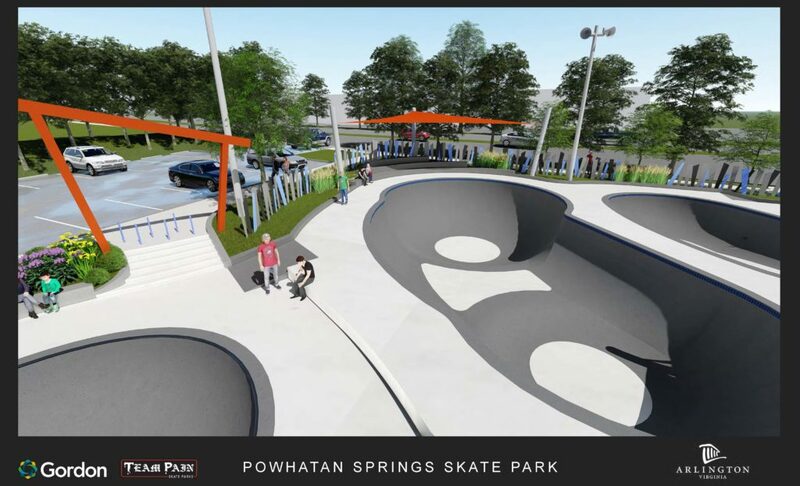 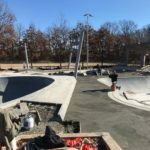 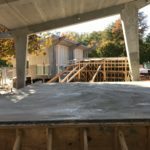 For these reasons, the Powhatan Springs Skate Park is being renovated to provide a skate park facility that better addresses the current needs of the sport. 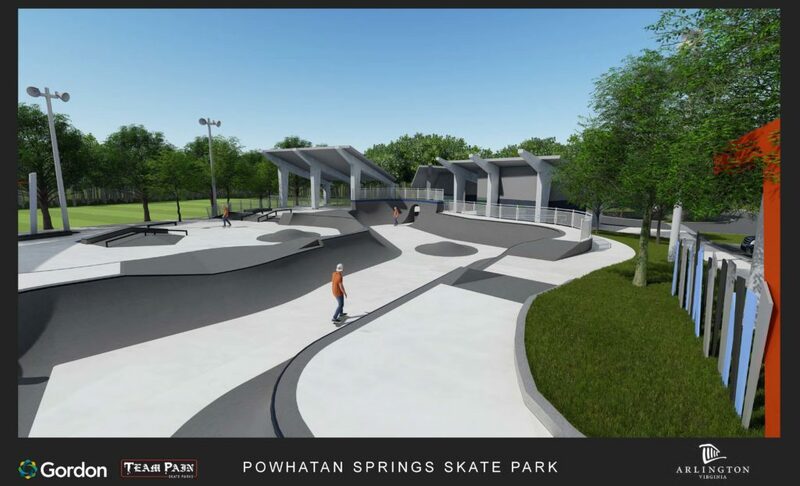 View images of the Final Concept Design for the replacement of the Powhatan Springs Skate Park in the image gallery above. 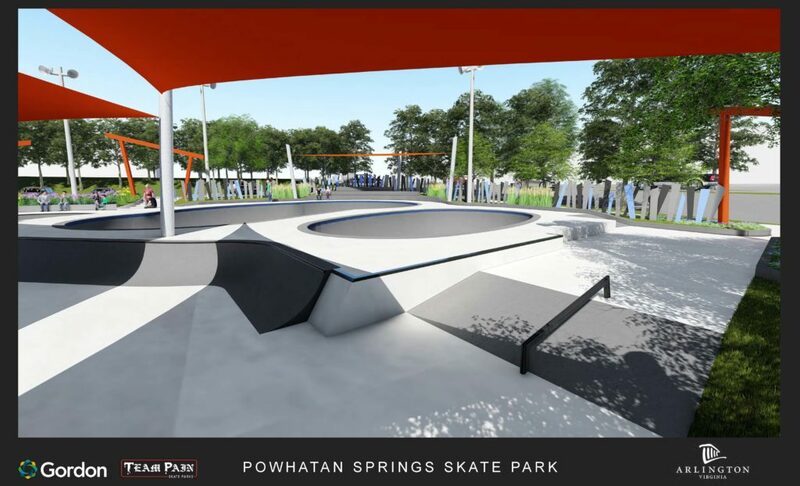 The Final Concept Design is an advancement of the preliminary conceptual designs developed previously from input with the community and skaters. 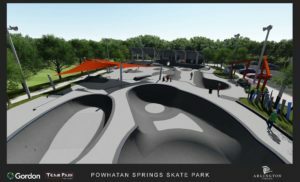 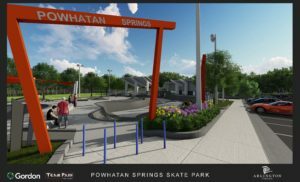 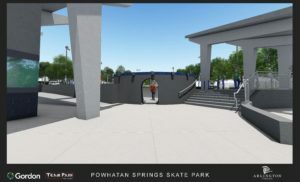 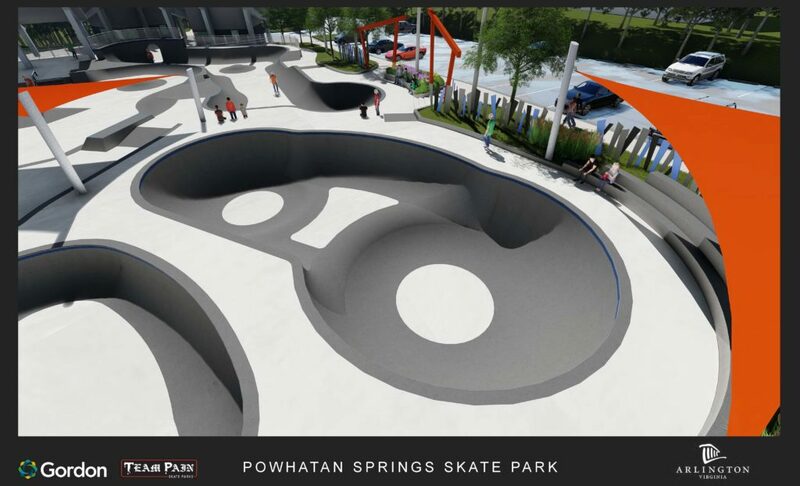 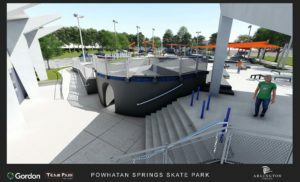 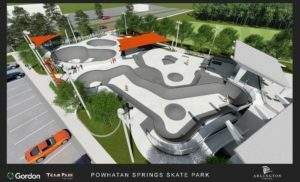 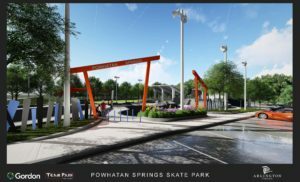 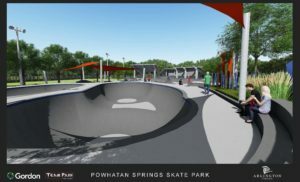 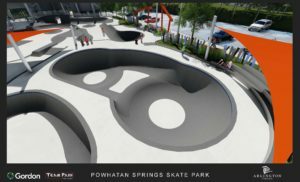 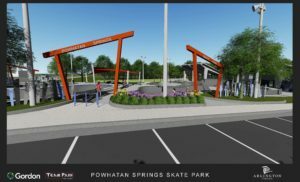 Check out this awesome video of the design for the replacement of the Powhatan Springs Skate Park.